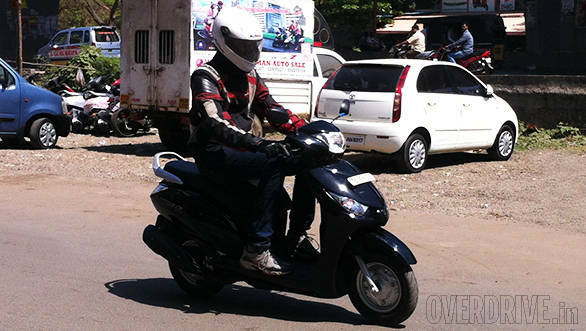 Yamaha started their Indian scooter operations with the Ray. Then came the Ray Z. The third scooter based on the same platform, the Alpha debuted at the 2014 Auto Expo. While the Ray was for the ladies and the Ray Z for the men, the Alpha is for the family, allowing Yamaha to cover all the three sub-niches in the automatic scooter market with the Ray platform. 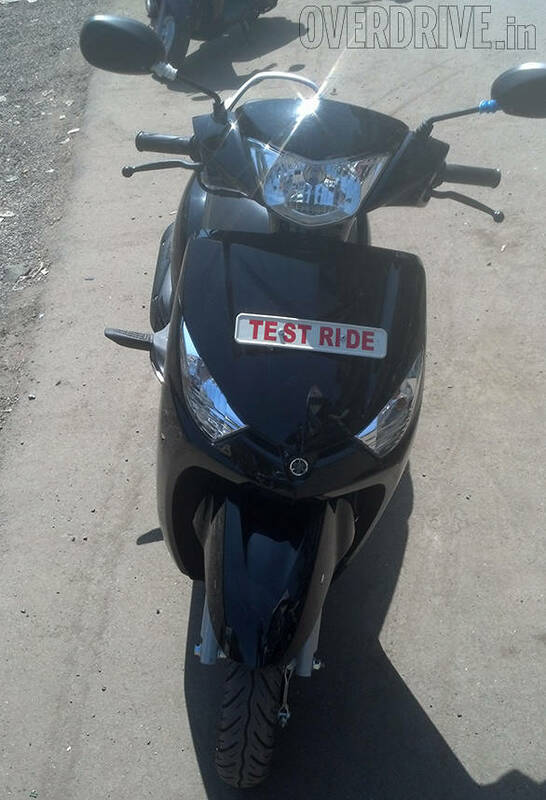 Its natural nemesis would be the Honda Activa and the TVS. What being a family scooter means is that the bodywork is a bit larger to accommodate two or even three people on the scooter. The Alpha is, thus, larger in dimension and in some ways similar in style to the Activa but it doesn't look as bulky as either the TVS or the Honda. It has simple looking meters - just a speedo, odometer and fuel gauge with the usual tell tale lights. The switchgear, as expected from any Yamaha, is crisp and works perfectly. The Yamaha Alpha has a wider and broader seat than the Ray twins. It is on the softer side and on long stints it might cause the rider some discomfort while feeling plush on (the more likely) short rides. The Alpha runs on 10-inch Ceat or MRF tyres. 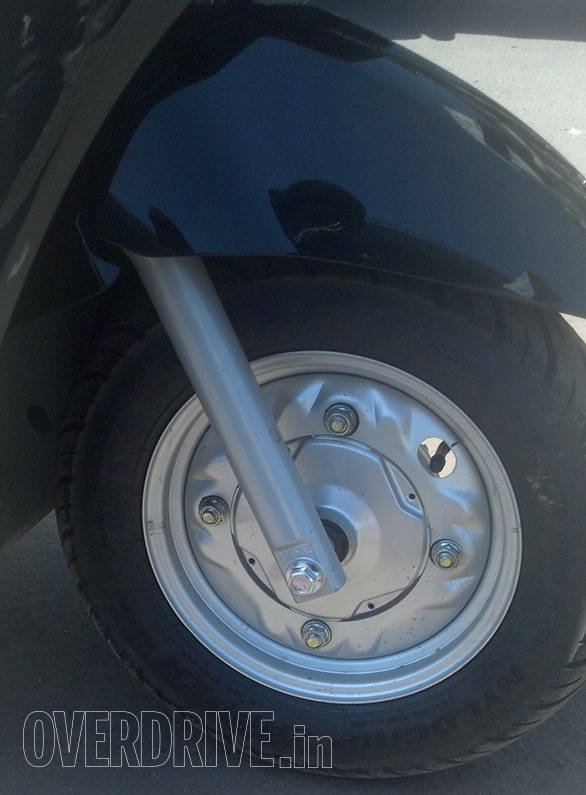 Our short ride on the Alpha showed that the scooter absorbs bumps confidently. The handling feels composed and the scooter feels nimble at low speeds. Even on the highway, the stability was appreciable. 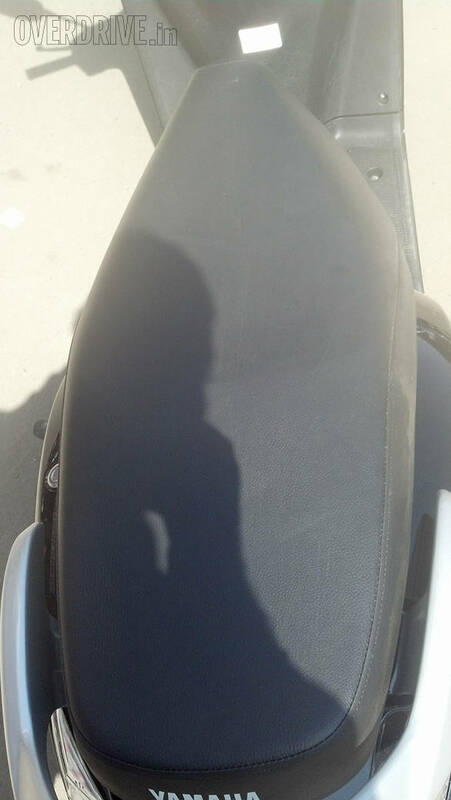 This from a scooter which weighs a light 104kg with a full tank of fuel. The brakes, 130mm drums on both ends, have a nice, confident feel to them. Yamaha has borrowed the running gear lock stock and barrel from the Ray. This means a 113cc engine which makes 7.1PS of power and 8.1Nm of torque. The difference lies in the way power is delivered. The Alpha has a very smooth powertrain perhaps even a bit better in feel than on the Ray. On the move, the Alpha climbs up to speed very easily. One of the plus points of a scooter is abundant storage space. The Alpha doesn't have front apron stowage or hook but does have a huge 21-litre underseat storage (as against the 15.5-litre in the Ray). The floorboard is also flat and accommodating unlike the narrow and cramped ones in the Ray. The Yamaha Alpha is priced at a Rs 3,000 premium over the TVS Jupiter and Rs 2,000 more than the Activa DLX at Rs 47,811 ex-showroom Mumbai which is currently the segment leader. The Yamaha Alpha is available in a choice of five colours- black, white, magenta, red and grey. 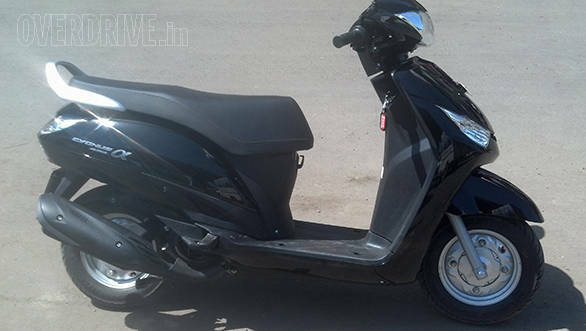 Dealers are saying that they have already started delivery of the scooter and they are seeing good demand. How does the Alpha compare to its competition then? We will find out shortly.